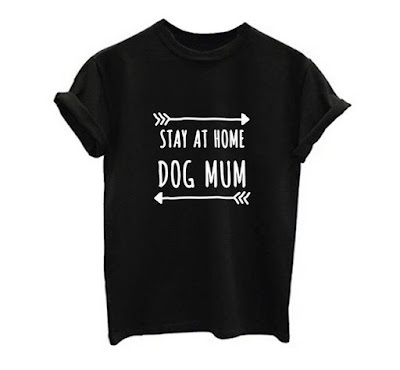 Love dogs and want the world to know it? 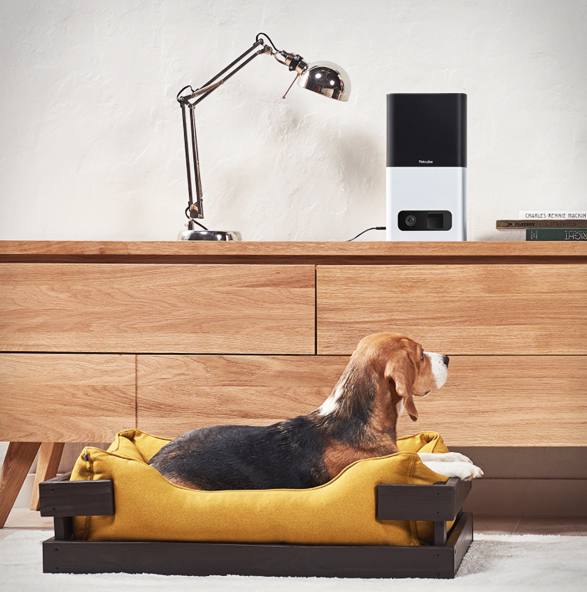 Here are our picks of Christmas presents for dog lovers this year. As this is the season for giving, we selected a few items that also give back to support animal welfare and rescue groups. 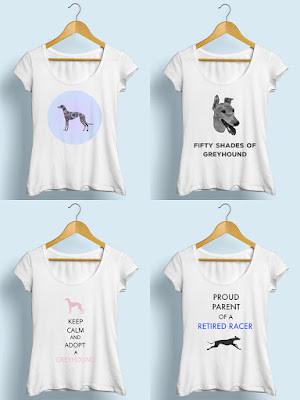 Share your love of Greyhounds with the world with one of these awesome comfy lightweight t-shirts designed in Australia by The Friendly Doggo. All women t-shirts are a regular fit and feature a scoop neck, capped sleeves and curved tails. They're also preshrunk to minimise shrinkage. If you love "twinning", similar designs are available for men! Available in 6 sizes (from XS to 2XL). A portion of proceeds goes towards Gumtree Greys who rescue and rehabilitate Greyhounds across Australia. Petflair took the world by storm in 2017 with their Kickstarter campaign! 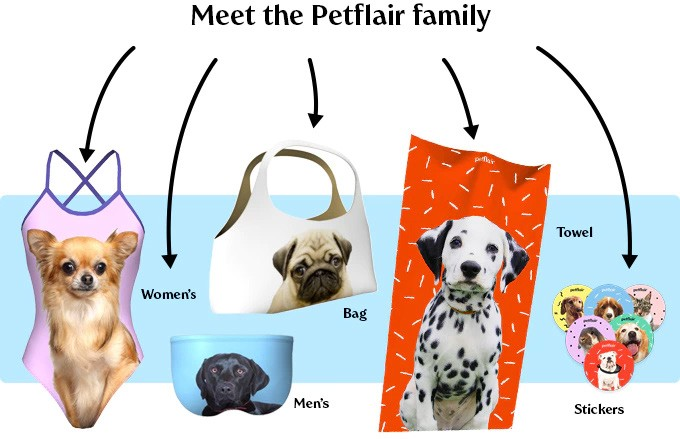 Choose from their amazing range of custom swimwear, towels, bags uniquely designed for you and your best friend – dog, cat, whatever! 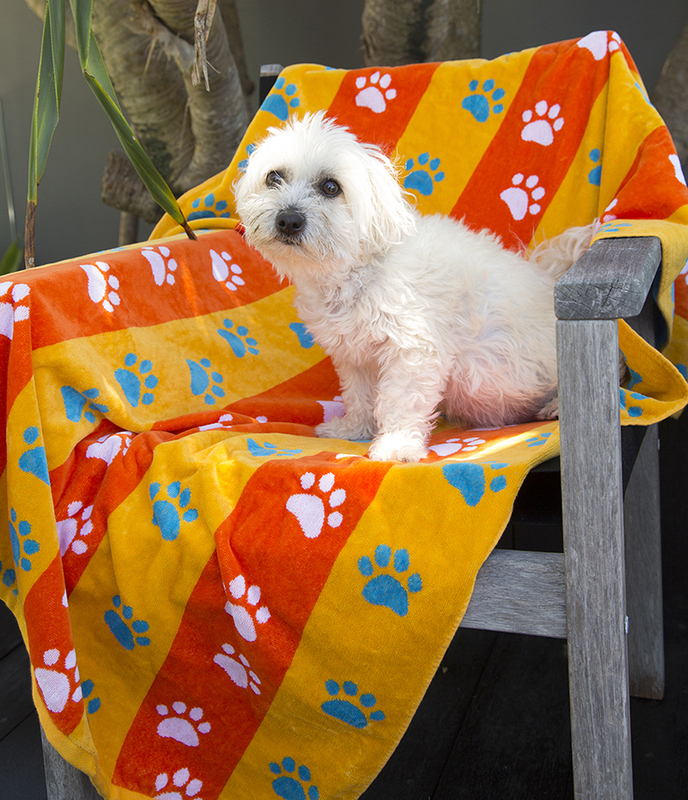 Simply take a photo of your furry pal, upload it to their website and Petflair will create a unique design from your choice of colours, background patterns and styles! These would make a unique present for the dog lover in your life and if you can't decide, why not give a Christmas Gift Card so they can choose? Please allow delivery time in early January 2018 as the company is at capacity to fulfill existing Christmas orders. Now, you can tell everyone with this funky 'Stay at Home Dog Mum' T-Shirt designed by The Dog Mum - an Australian brand which is all about urban-style clothing and accessories for dog obsessed mums! This design comes in a range of colours (Black, White, Grey and Pink) and is available in 6 sizes (from S to XXL). Is the dog lover in your life the sporty type yet uncompromising on her style? Then check out Active Creatures – a Melbourne-based brand designing sportswear for woman and pooch for a unique gift. They have just released their summer collection with matching styles across their range. Choose from women’s leggings, sports bras, tanks and tees, all with matching tees for your dogs (Boys of Summer and California Girl dog tees featured). This premium luxurious and highly absorbent Jacquard towel by Growl Towels is thicker than most beach towels and perfect to snuggle in after your swim! It is 500gsm (grams per square meter) meaning it will absorb more water and dry you or your dog quicker than other towels. The velour side is super soft to lie on comfortably whilst the other side is specially designed for drying yourself or your dog off with its absorbent 100% natural cotton fibres. The size is 80cm x 160cm. 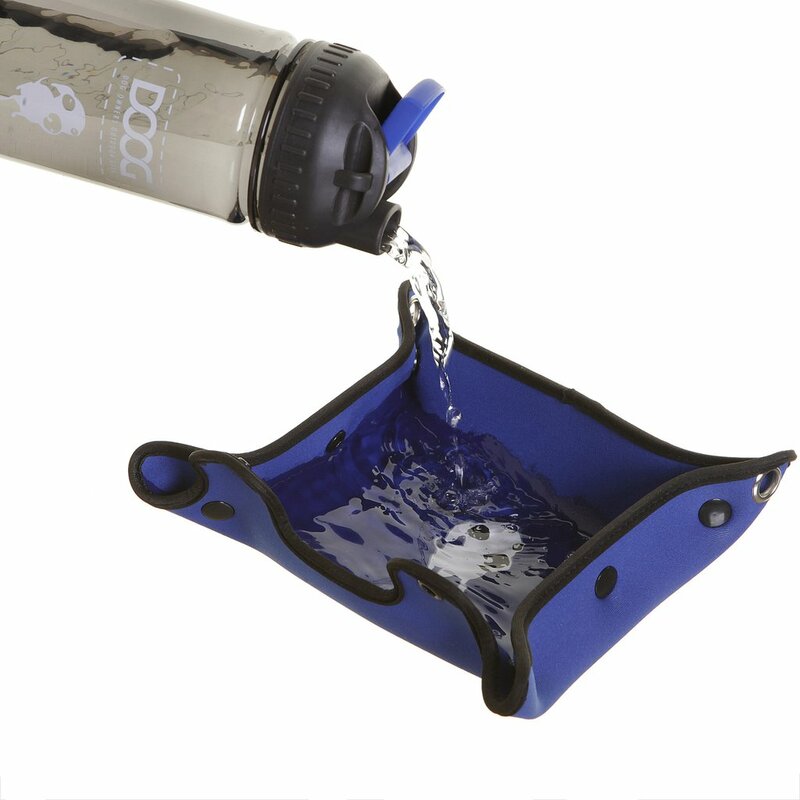 The ingeniously designed DOOG water bottle + dog bowl means you can carry water for yourself and share it with your dog by using the dog bowl whilst out on your walk. The wrap-around bowl keeps the water insulated and cool. Simply unwrap the bowl (made from insulated neoprene) from around the bottle and construct the bowl when your dog gets thirsty then pour water from the bottle into his bowl. The inside of the bowl has a water proof lining. Available in blue or red. The 2018 'Rescued Blockheads' and 'Rescued' calendars and the 'Adorable Puppies' Diary were all designed and photographed by Sydney pet photographer, Ruth O’Leary. Both calendars are A3 size, with 300gsm stock covers whilst internal pages are printed on 150gsm with plenty of room for writing birthdays, appointments etc. on each day. Almost all of the photos are actual adoption photos taken throughout the year with the aim of producing these calendars and a diary. 100% of the profits from the sale of these calendars and the diary will be donated to help Fetching Dogs and other local rescue groups. These limited editions make a great Christmas present and are selling out quickly! Available from Rupert & Dora, Paddington, Sydney. At a price of just $3 and with 100% of proceeds going to PetRescue, the 2018 PETstock Calendar is the feel-good stocking filler that supports the adoption of homeless pets from around Australia. Showcasing pets that have been assisted by PetRescue, the 2018 edition features a photogenic menagerie of dogs, kittens, rabbits, guinea pigs and even a paddle of ducks! 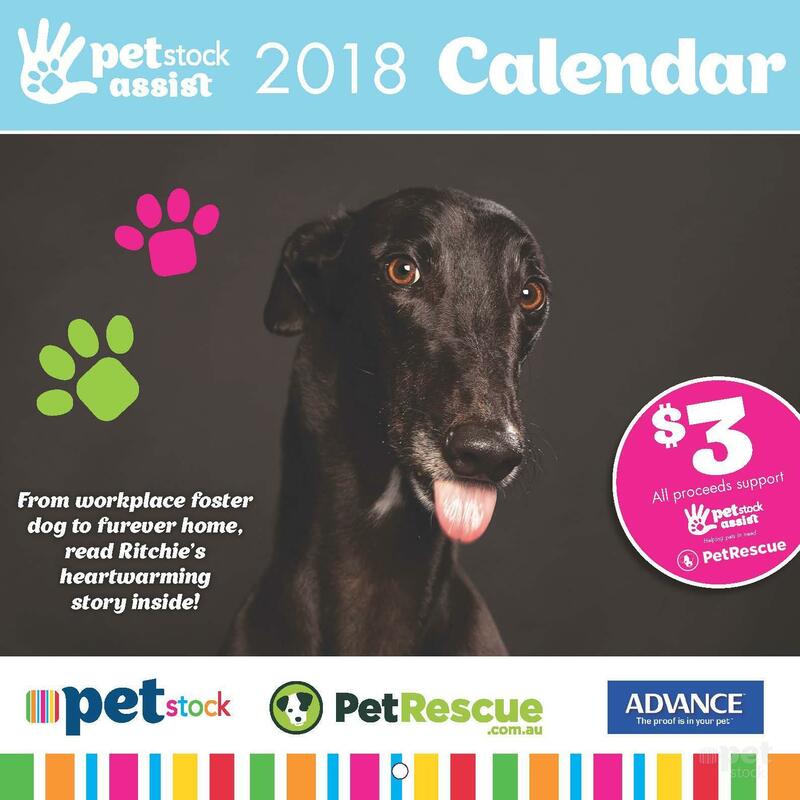 Sales of the 2017 calendar raised more than $110,000 for PetRescue, which translated to 12,000 pets finding safe and loving homes. Staying organised doesn’t have to be ruff! 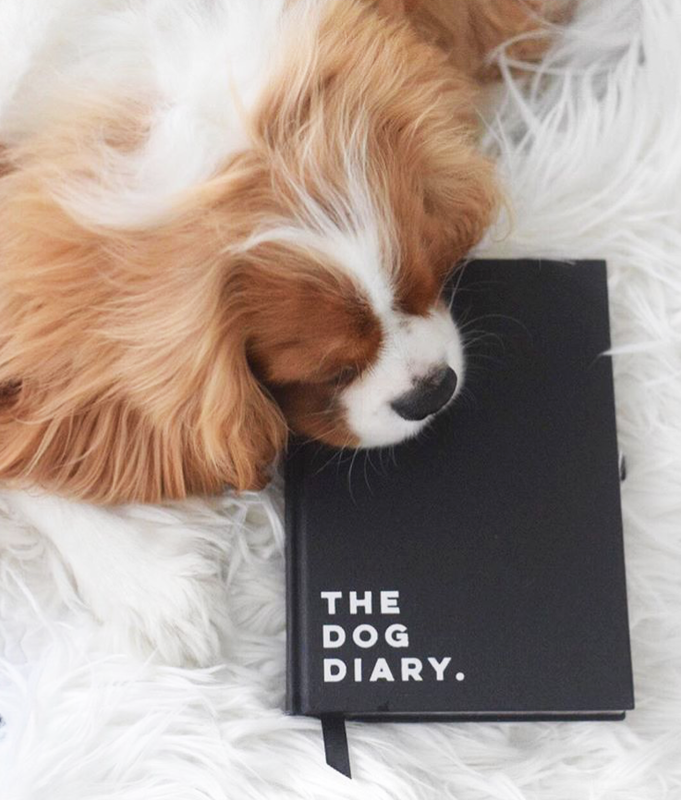 The Dog Diary is a classic, sophisticated diary created in Australia by Nooshel for modern pet parents. Pawsome dog quotes throughout highlight how precious our furkids are to us… Now you can keep track of your dog’s commitments like play dates, bark days and important things like vaccinations and worming. The enclosed stickers sheet will ensure you never forget another important date! This A5 diary (224 pages) is printed on FSC certified paper with all packaging made from recycled materials. 10% of the profits from every sale goes towards RSPCA Australia. 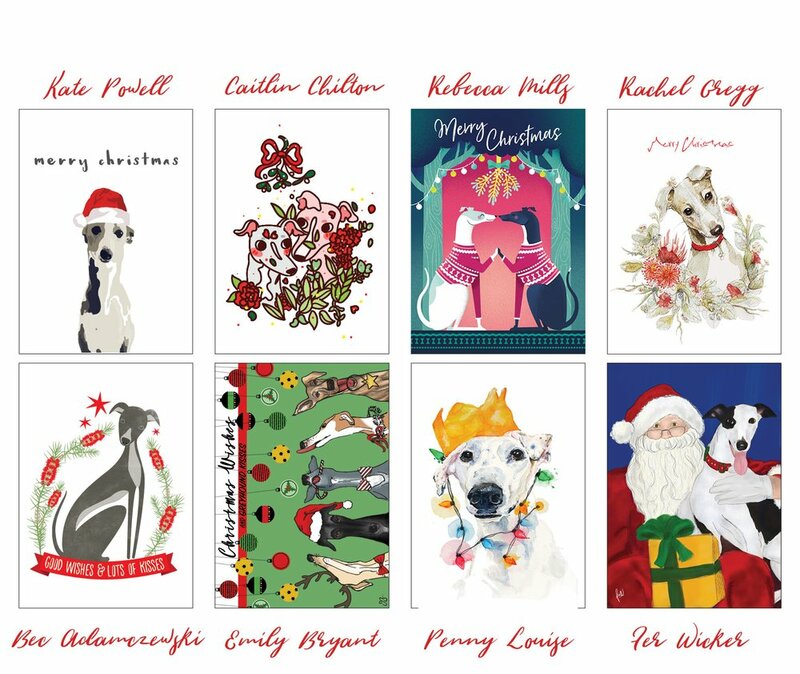 This is the season for giving and you can spread the houndy cheer this season with this pack of 8 unique hound-inspired designs. Each image was lovingly created by Greyhound Rescue supporters and volunteers. Printed on premium-quality recycled card, they're not only a luxe addition to your seasonal gift giving, but also good for the environment! 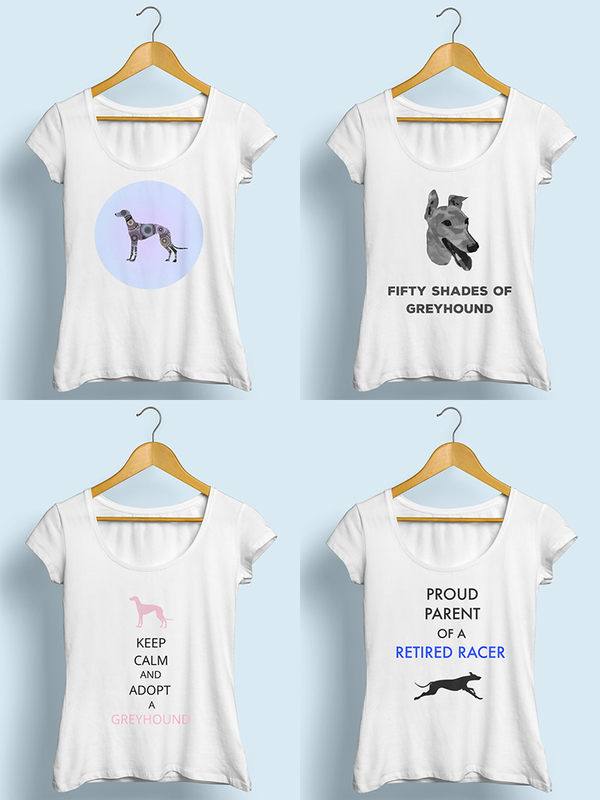 100% of profit of sales are going towards the rescue and rehoming costs of Greyhounds. 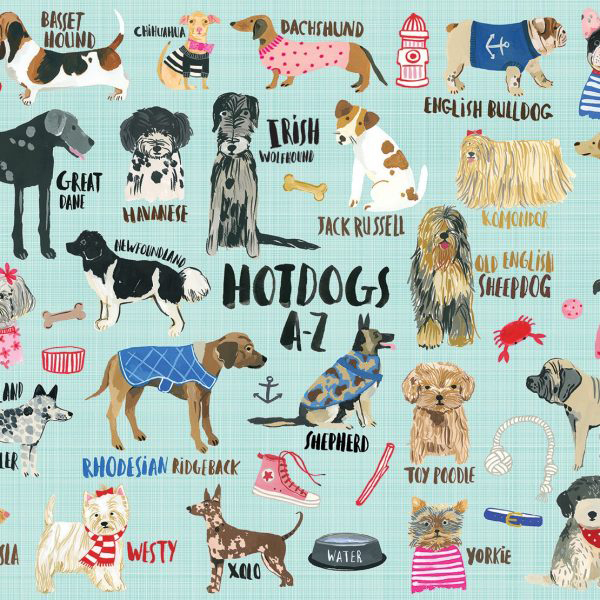 These quirky pet stickers by Stickapet feature your favourite dog breed. 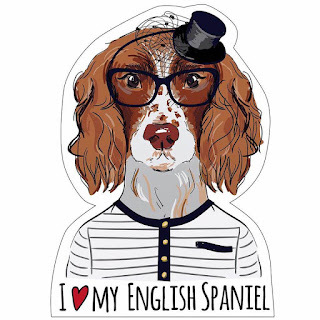 You can choose from a male or female dog sticker but they're always wearing glasses! Stickers are both UV and water resistant and you can use them anywhere you like: car windows, laptops, drink bottles, your favourite diary etc. The stickers measure approximately 105mm high x 83mm wide (this varies slightly for each breed). A stocking filler that won't break the bank! Silver Pet Prints sterling silver jewellery is the perfect way to capture the paw prints of your family's furry members and keep them close to your heart. Handcrafted in a variety of shapes (pendants, necklaces, bracelets etc.) your pet’s paw print will be showcased on your choice of a stylish sterling silver chain with their name stamped on the back. This two-way communication system allows you to check on your dog or cat (like the Petcube Camera) thanks to a built-in HD camera with zoom and night vision capabilities and a two-way audio system for “conversations” while apart! Guinness World Records: Amazing Animals is an action-packed annual book full of the fastest, tallest, strongest and coolest animals in the world! 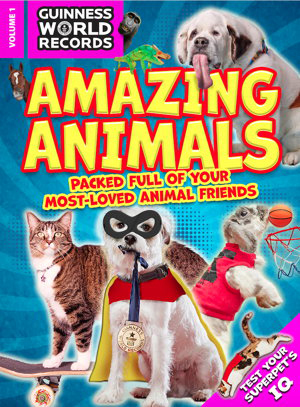 Featuring famous dogs and other celebrity animals, animals at work, tricks and stunts, it is visually eye-catching and full of fun facts! Create your very own record-breaking animal with an online game, or try making an origami zoo! Test your wildlife knowledge with fun quizzes, plus find out if your pet is a secret Einstein with exclusive IQ tests. When you put together this 1000 piece family puzzle from Mudpuppy, it reveals a series of playful "Hot Dogs" that represent each letter of the alphabet. The sturdy and easy-to-wrap box is perfect for gifting, reuse and storage. This puzzle will measure approximately 69 cm x 51 cm once completed. For kids, aged 8+ years old. This is a great present idea for young animal lovers! These super cute floppy (15cm) Purple Poppy Plush Toys uniquely recognise the brave animals which have served in war alongside their human handlers. Available in this series are a Purple Poppy Puppy, Horse, Donkey and Camel exclusively from the Military Shop, Australia's leading military site. 3% of the sale of these products are donated to the Australian War Animal Memorial Organisation. Not sure what to buy for the pooches this year? 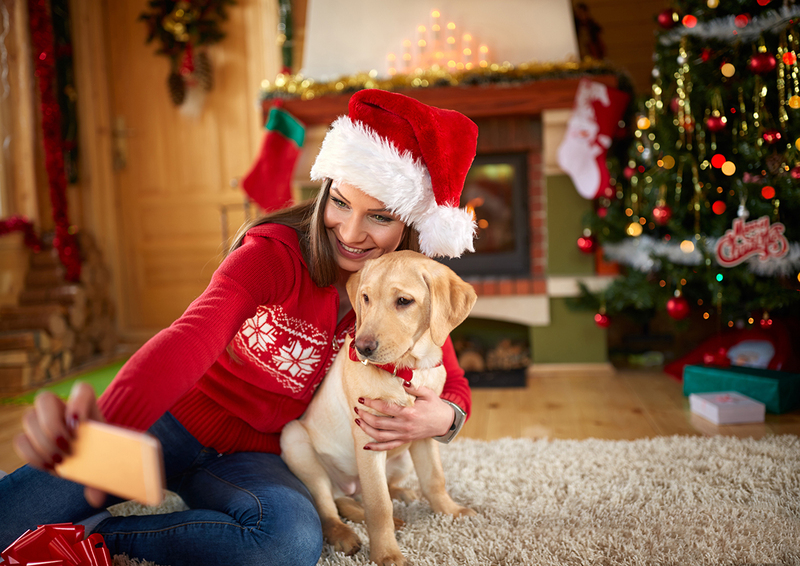 Why not check out our "Top 20 Christmas Gift Ideas for Dogs" for some inspiration!